Will Dele Alli's Injury stop him playing against Panama? Loving Life > Blog > Sport > Will Dele Alli’s Injury stop him playing against Panama? England beat Tunisia 2-1 on Monday night with a dramatic winning goal from Tottenham’s Harry Kane. 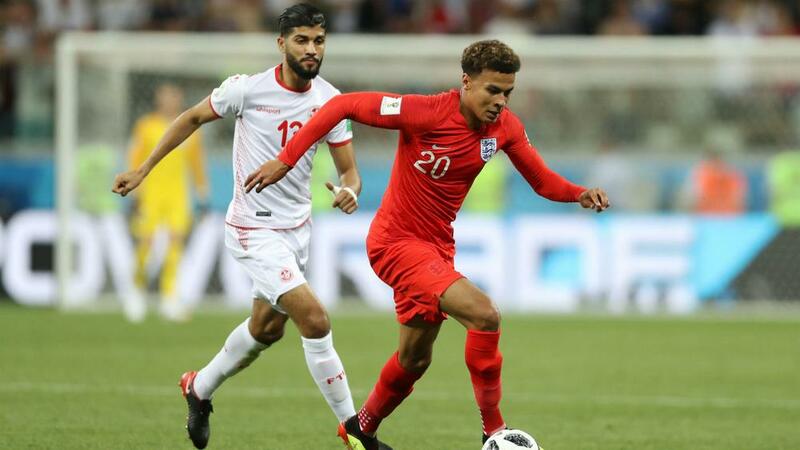 It wasn’t all good news as England star boy Dele Alli picked up a thigh injury during the match which could leave him in doubt for the game against Panama. Dele Alli was substituted after 80 minutes suffering with the thigh injury. He had reportedly picked up the injury in the first half but continued to play on. After the game Dele confirmed he had picked up the injury but didn’t seem in any real distress. “Hopefully I’m okay, it’s my quad” were the words of the 22 year old. The staff will be assessing the injury and there’s no doubt that he’ll be receiving world class treatment to get him back in action, but will he be fit for the game against Panama? It seems that Dele’s injury is a mild thigh strain so hopefully not too serious. Sports and Exercise Rehab Therapist Tyler Lowe of “Loving Life” explained that a thigh strain recovery depends on the extent of the damage. Time will tell if we’ll have one of our star boys back on Sunday. One thing is for sure though, there seems to be a real buzz and spirit within the England squad, even after just one game. Let’s get behind them and keep spurring them on. COME ON ENGLAND!